I'm proud to be participating in Novel Publicity's blog tour for Bluff by Lenore Skomal. Jude Black lives in that in-between, twilight place teetering on death but clinging to life in order to bring her baby into this world. Only she knows the circumstances surrounding her mysterious fall off the bluff that landed her in the hospital being kept alive by medical intervention. Only she knows who the father of her baby is. In this poignantly crafted literary novel, the mystery unfolds and the suspense builds as the consequences of Jude’s decisions threaten to reveal everyone's deceptions, even her own. 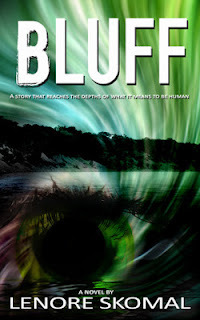 Bluff has been listed in the genre of literary fiction and while that is accurate, it is also, in its essence, a suspense novel. This book has a unique perspective. The story is narrated by Jude, a forty year old lesbian who happens to be pregnant and is a coma patient. She had been in denial about her pregnancy and even her best friend and next of kin does not know who fathered the fetus. Then one day she has taken a tumble off the bluff at her home and is critically injured. This is where the story begins. Lenore Skomal doles out tiny tidbits of information along the way, but leaves you yearning for more information, until you finally reach the end. She shows us that no one is as they appear to be. She also has an interesting take on what life might be like for those in a coma. This is a book that will leave you looking at the people around you just a bit differently. “We do not technically characterize your sister’s condition as a coma. We believe that she is in a persistent vegetative state, which we sometimes call a wakeful coma, and PVS for short, like I just told you. Physiologically, her brain has been severely damaged. The function of the cerebrum or the upper part of the brain has been impaired, as has the cortex or the outer layer of the cerebrum. This outer part is believed to be responsible for our conscious activity. Damage to both most likely was caused by the trauma to her head caused by the fall,” he explained, trying not to sound patronizing. It worked. April’s face loosened. “So, she’s not brain dead,” April asked flatly, as if somehow disappointed. “No, she is far from brain dead. She has partial brain function. Right now, she is in a wake cycle. Notice how her eyes are open and her mouth is moving,” he said pointing to me, as if on display—the poster child for PVS. I didn’t realize my mouth was moving. Learn something new every time this guy talks. With that, he walked over to my bed and said, “Hi there, Jude” and then placed his thick hand in mine. A sensation shot through my arm. Nothing replaced the human touch. Oh, did it feel wonderful. The feel of flesh upon flesh was one of the things I missed the most. Even though I was not a touchy person by nature, Frances was. She was forever hugging me and grabbing my arm when we walked together. I guess not having that skin-on-skin feeling underscored its importance. Elated, I felt I could jump up and run around the room. Personal touch had become so unfamiliar to me in the short time I was there. When I was touched, it was merely the function of cleaning my body and adjusting my limbs for physical therapy. Seems as time has gone by, people rarely just touch me, stroke my head or hold my hand. I wanted them to want to feel close to me. Frances had been the only one to consistently hold my hand since I’d been admitted. While Jeffries and some of the nurses were good about talking to me as if I were mute, and once in a while, patting my hand or rubbing my arm, there was no prolonged touching. But this was a demonstration. I had forgotten. As he slid his hand into mine, I watched as my hand reflexively folded around his, without any effort on my part. I seemed to have vacated my own body right after the fall. Now it belonged to this automaton that responded mindlessly to stimuli and reacted instinctively. I was reminded I was no longer in control. I longed for him to keep it there, but he abruptly pulled away. The tears welled up inside me, but of course nothing emerged. It had been a long time since I felt like crying, and now, even if I wanted to, I couldn’t. April stood absorbed in the moment, consciously taking it all in. There you have it, April. Now you know. I could have explained it much better myself if I could have actually talked. To my way of thinking, it was a simple matter of being fully cognitive and aware but simply not being able to move. It’s like I’m paralyzed all over, including on the inside, I wanted to tell her. It’s like being frozen, yet hearing everything, seeing everything, and at the same time being completely ignored. Sometimes I am here, connected to this cumbersome flesh; other times, I drift in an unknown place, my sense of self slowly vanishing—no, no, merging into nothingness. Hard to describe, but so very natural to accept. Lenore Skomal wants you to eat her books. Her passionate desire is to touch your heart, inspire you, and luxuriate in the world of the written word. 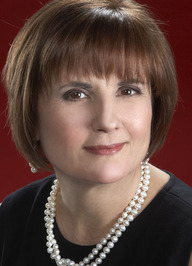 She is an award-winning author with the single goal of resonating with others. Winner of multiple awards for blogging, literature, biography and humor, her catalogue spans many genres. With 30 years of writing experience, 18 books published, a daily blog and weekly newspaper column, the consistent themes in her work are the big issues of the human experience and adding depth and voice to the intricacies involved in living a multi-dimensional existence. She has won many Society of Professional Journalist awards, the Whidbey Island Writer's Conference honorable mention for best fiction, Writer's Digest 73rd Annual Fiction Contest, New York Public Library's Best Books for Teens 2003, and most recently, the 2012 Next Generation Indie Book Award for humor for “Burnt Toast.,” her first anthology of her award winning humor columns. From journalism, to literary fiction, to humor and biography, her writing is consistent, if not in genre, then in message.